There are so many events from my childhood that shaped my path. One of the more poignant truths is that I was a very ill child, spending a great deal of time in the hospital, which caused me to become a mini-adult in terms of maturity, responsibility and most important of all – empathy. Seeing firsthand the suffering of others had a profound effect on me then and it still manifests itself in my work today. Three key facts from my biography that best reflect me and my commitment to citizenship are: writer, I’ve contributed to three books; professional, I’m the Senior Vice President of Corporate Communications, managing the reputation for a brand with 130 billion USD in assets; and volunteer, I am the former chair of the board of Operation Homefront and during my tenure, the organization deeded 550 foreclosed upon homes mortgage-free to wounded veterans and their families. Way of Influence as a Citizen: For me, it’s in the area of corporate social responsibility and it is very much by design. Corporations have such a wonderful opportunity to Do Good in the world when each goes beyond dividend payments, earnings per share and return on investment and simply does the right thing for their communities because it’s the right thing to do. All of the financial metrics are important of course, but all companies can and should be more than the sum total of their balance sheets. I use reputation metrics to demonstrate to my company that great value is created for shareholders when we act on the commitment to being a good corporate citizen. When I look at opportunities for improvement and great triumphs on this path, I would share that when I was younger, I didn’t appreciate the totality of impact that a single person or company could have. Since then, I have achieved my greatest triumph, which is being able to quantify return on reputation so that now I can make a true business case for corporate social responsibility. The three cautions I would provide to those perusing a similar path are: It can never be just about you – although one person can make a difference, great progress is always bigger than just one person; You cannot have success without persistence; and Don’t look at your activities, truly measure the impact and the results of your efforts. The three key benefits of this path, in my opinion, are the ability to help others thrive, to serve and inspire others, and to be a part of something greater than you. In terms of how citizenship can impact the future on a global level, I think that all problems can be solved – we just need to do it. Three of the ways by which we can accomplish this are through empathy, listening for understanding, and providing meaningful solutions rather than divisive rhetoric. 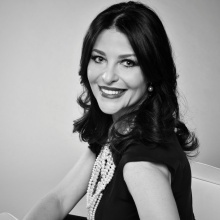 A recognized change agent with more than two decades of global leadership experience, Catherine is an established thought leader on corporate reputation, corporate social responsibility and ethics. Under her direction, Aflac’s Corporate Communications department uses modeling, technology and hard data to drive communications strategy and implementation, helping to achieve measurable return on reputation (ROR). Throughout her career, Catherine has developed communications and corporate social responsibility (CSR) strategies and programs that drive change, deliver impact and, ultimately, lead to business success. Since joining Aflac in 2014, Catherine has completely revamped the company’s CSR initiatives to increase their effectiveness and engagement. In 2016 alone, 1.4 billion impressions were achieved on Aflac’s CSR programs through editorial media engagements. In 2016, she shared insights on maximizing ROR and its impact on a company’s reputation and bottom line at industry events, including Ragan, Ethisphere, Reputation Institute and PRWeek. She will serve as chair of The Seminar in 2018, is a member of the Page Society and Communications 50/C50, and serves on the Communications Advisory Board for the Ethisphere Institute. She has been a contributing author for several books, including most recently “The World’s Foremost Authorities on Marketing - Top CMOs Share What They Know Best,” “Superbrands” and PR News' Corporate Social Responsibility Guidebook.